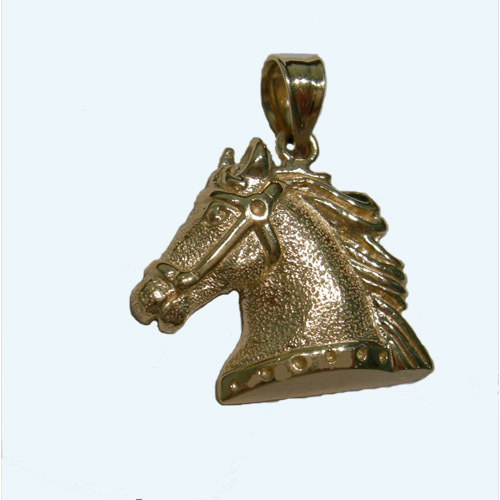 Desc: 14 karat yellow gold textured horsehead pendant. The horsehead has a textured finish. The horse has a halter on and has a bright polish finish. The mane is flowing and has a bright polish finish. There is a bright polish finish around the base of his neck.